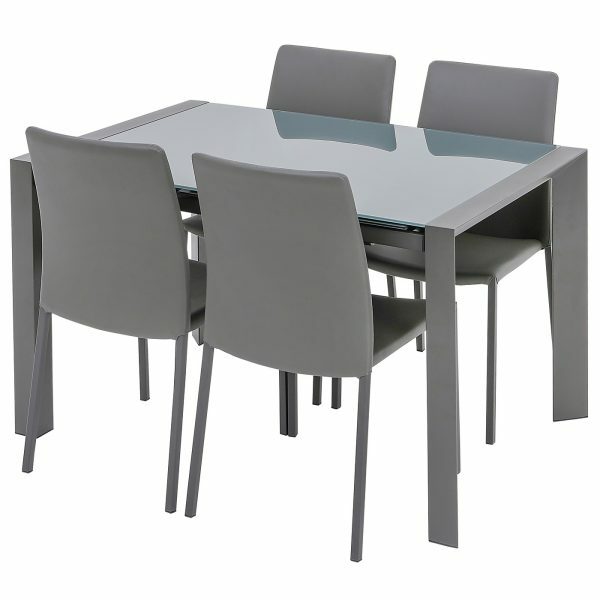 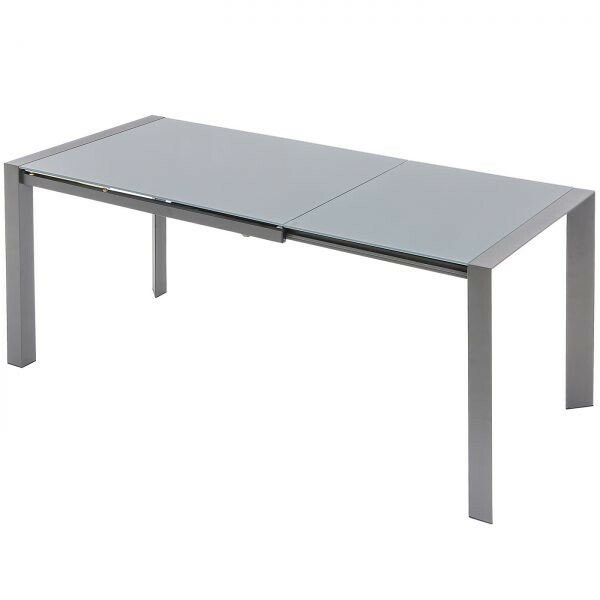 This fantastic extendable table offers multiple dining options, comfortably seating from 4 to 8 diners. The toughened glass top is hugely practical but very stylish, contrasting perfectly with the coated grey frame. 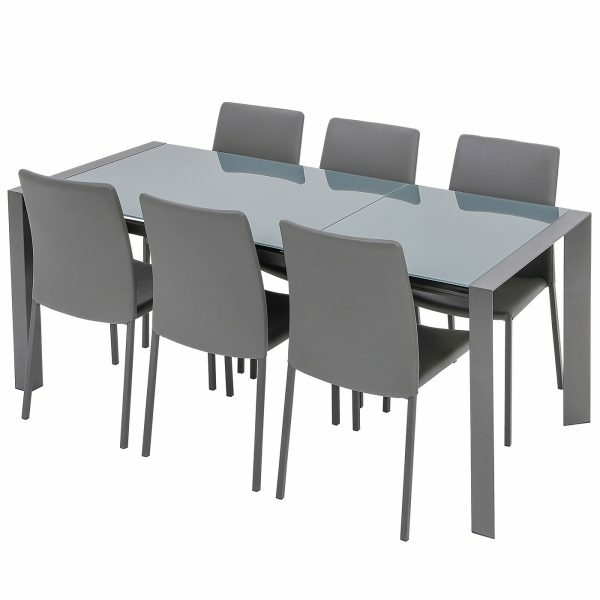 A smoothly designed mechanism enables the effortless opening of the table, with the extension leaf easily stored when not in use.